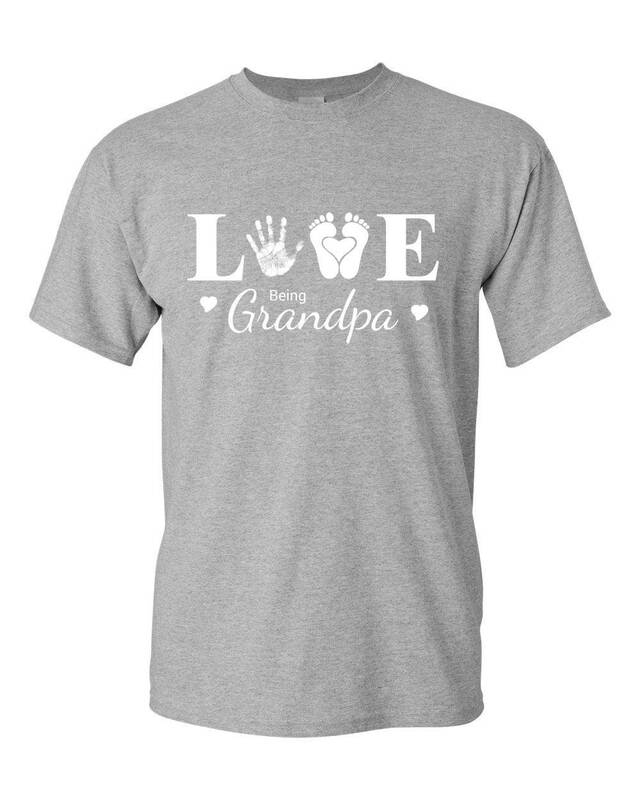 Relax and just "Love Being Grandpa" in this cool and comfy grandpa shirt! 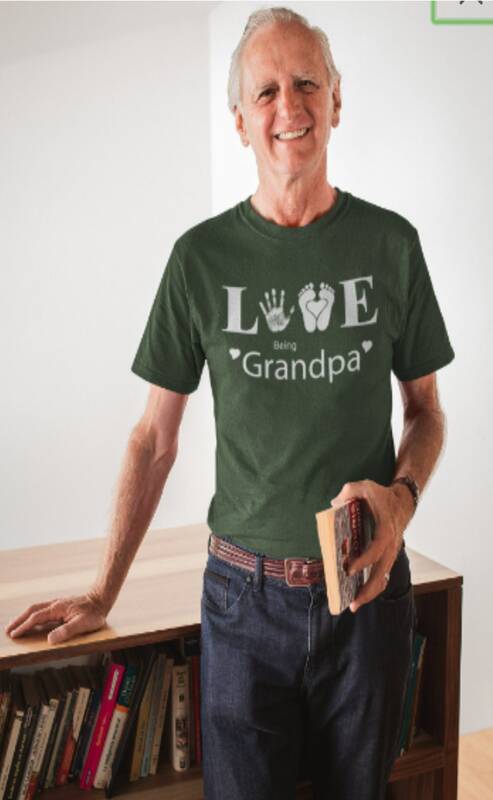 These men's casual shirts are made from 100 percent cotton and are designed with a modern flattering fit for today's active grandpas! 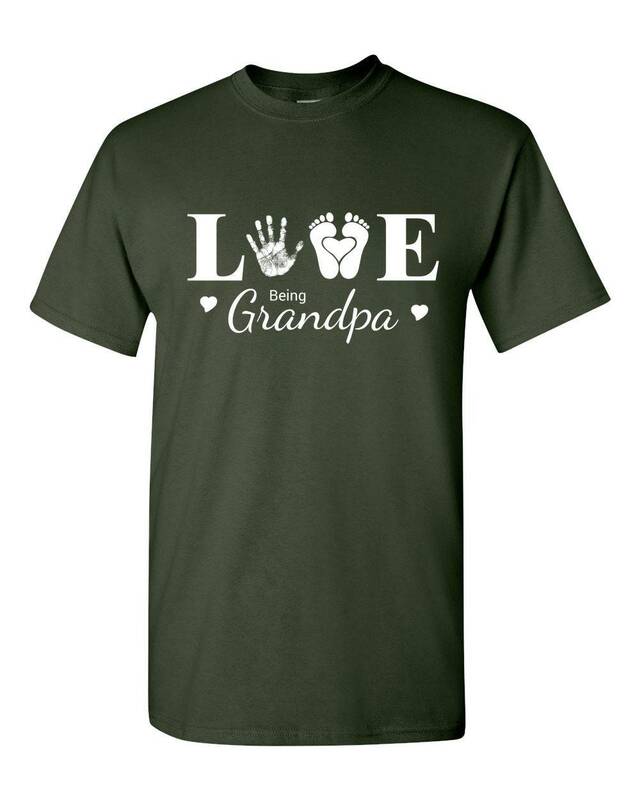 If you're here shopping for your dad or husband, one of our "love being grandpa" shirts will make an amazing Father's Day gift for him! These short sleeve casual shirts are perfect for hanging out with the grandkids on vacation or at soccer matches, swim meets or on other adventures with the family. The shirts are true to size and made from high quality 5 oz preshrunk cotton. They feature a seamless body with set in sleeves plus a comfortable ribbed collar and taping from shoulder to shoulder along with double stitched sleeves for increased durability. 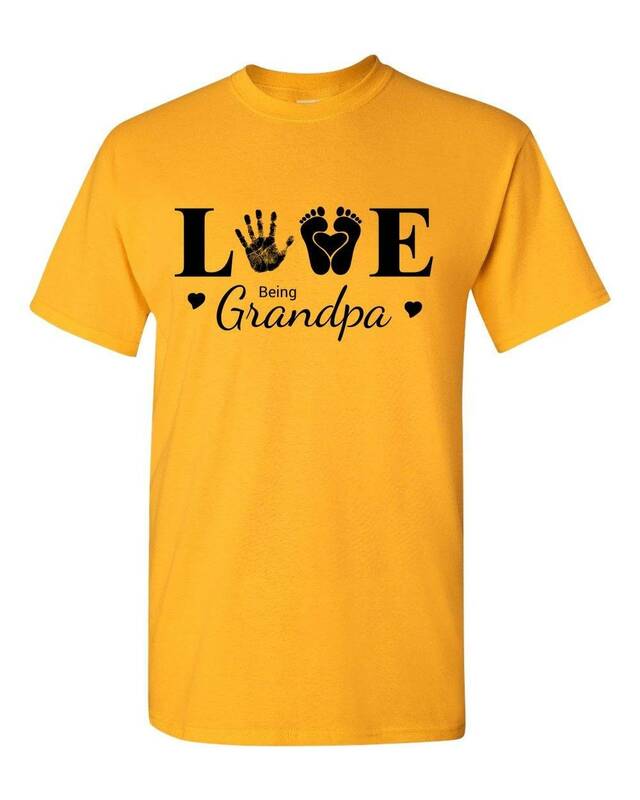 We offer this shirt in a wide range of sizes (men's S to 6XL) in a rainbow of trendy colors. Please refer to the product photos for samples. Order one of our "love being grandpa" shirts for his birthday or for Father's Day and he'll wear it with pride! • Perfect gift idea for Father's Day or grandpa's birthday!